While there have been plenty of reports that the release of a new, lower cost MacBook Air has been delayed, that doesn’t necessarily mean we won’t see it or hear about it at WWDC. If its release will fall between now and the Fall release of the iPhone, then WWDC will be the perfect time to take the wraps off of it in advance. While it is possible that such a refresh won’t warrant an event-level announcement, I think this could be more important than a simple refresh to a value laptop option. If Apple is lowering the price of the Air to a more attainable level, I think they will want to talk about that publicly. This issue has been building for a while now among the Apple tech press. The fact that the issues and failures that affect the low profile butterfly-style keys have hit several notable Apple fans and bloggers (most recently Rene Ritchie of iMore) means that it is no joke or trivial matter for the company. Just like their mea culpa on how they approach pro products and pro-level customers last year, I think they will address the problems with these keyboards this year. I think it’s just a matter of how they frame the discussion. Hopefully, it will come in the form of an announcement of an improved keyboard design to be used on all future MacBooks. AirPower was announced a year ago, and we are still waiting for its arrival. There is also the rumored refresh to the iPhone SE. It would make sense for that model to be released at a different time than the rest of the iPhone lineup in the Fall. Will we hear about either at WWDC? Apple acquired the Workflow app just a little over a year ago, but we haven’t heard much form the company about it since. The one year mark after an acquisition is usually when Apple expands and offers new features based on them. TouchID, Face ID, Siri, etc- all of them came to Apple devices one year or more after Apple got their hands on them. Is this the year that Apple takes Workflow to s different level? Being a software product that developers can put hooks in their products to use with it, WWDC is the time to make any Workflow upgrade or expansion announcements. While the Beats Decade series has already been released for sale, I would expect to see this talked about on stage. Beats reaching the decade mark is a big deal, and it remains a big selling product line for Apple. It should at least get a mention. There have been rumors of a new, updated set of AirPods floating around all year, but this may not be when we hear about them. The originals were announced along with the iPhone 7 in the Fall, so this year’s may come at the same time. However, talking about some quality listening hardware is a great way to supplement conversation about Apple Music. With Apple’s focus on Services, that is a virtual guarantee, so maybe the nw AirPods do make an appearance. Another rumor from earlier this year that has fallen off the radar is that Apple will be releasing a high quality pair of wireless headphones that will, like the AirPods, feature Apple branding rather than Beats. 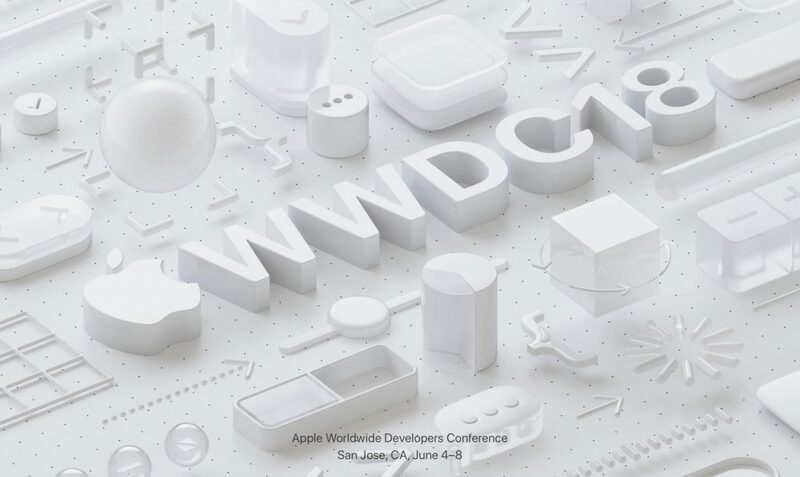 Is WWDC the right time for Apple to take the wraps off a completely new piece of hardware. One thing is certain, either product would get more attention at this event than they will next to three new iPhones in the Fall. Even if they release later, I wouldn’t be surprised to see a preview of one or both. We already know that the new Mac Pro isn’t coming until next year. However, Apple has been fine with early announcements lately, and this product will get a lot of attention from the tech press and Apple blogs and podcasts. I think it just comes down to how late in the year Apple intends to release it next year. If they are aiming for the first quarter, then this year’s WWDC is a good time. If it will be later, they may wait for next year. However, since the cat is already out of the bag and everyone knows the Mac Pro is coming, a small preview seems like a sure thing. This should be the surest thing of all. Apple finally delivered on their promise of AirPlay 2, stereo pairing, and multi-room support for the HomePod with iOS 11.4. Now its time to see what’s next. Apple definitely won’t miss this opportunity to show off new capabilities and software features. Most of them will probably be catch-up with more mature intelligent speaker products, such as Amazon’s Echos and Google’s Home devices. However, Apple has to start somewhere, and WWDC is the perfect time to show the world that they are committed to this product category and that they will move fast to catch the competition. I think that about wraps it up. Like all Apple fans, I am looking forward to tomorrow’s Keynote and the new goodies it brings us. Hopefully a lot of the things I have mentioned in this series will make an appearance tomorrow, but I also hope there are some new features and surprises that I and others haven’t thought of yet. No matter what, the waiting’s almost over.